It took only a couple of seconds on the web to find out that it was a long forgotten tune called (If It) Hurts Just A Little by Donna Summer. 'Long forgotten' because it was a throwaway 3-minute effort off one of her dodgier earlier-80s albums (despite being produced by Quincy Jones). The album was so bad that she couldn't even be bothered to find a name for it. 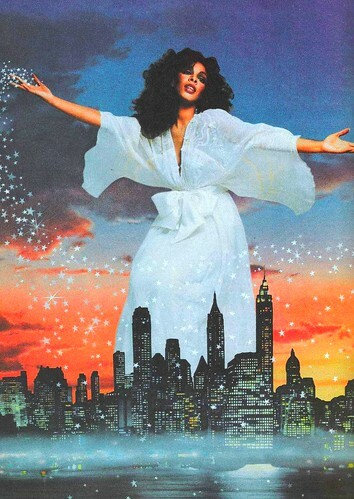 It was just called Donna Summer. Crap. 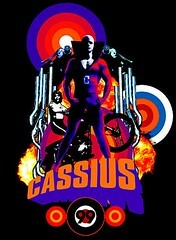 30 seconds later, I'd found a site comparing the original with the Cassius tune. 2 hours later a pal had e-mailed me the tune from his personal stash of sampled discotronica. Hurrah! The only problem was that the part I really like - the sample - only lasts 8 bars. What is one to do? Especially if you only have an ageing Mac and a simple sound editing program (no special sound card, no Protools)... Well, the answer is: you do your best. It took a couple of hours, with quite a bit of fine tuning, but I'm pleased with the result. I've taken the break from the middle and inserted it in an extended end section. Although the song is intact from the beginning to about 3'15", the rest is my hard toil, all the more pleasing because you can't really tell. Download my humble re-edit (which should really just be called "Jason Fist jigged about with the end bit") here. And as always, feel free to tell me what you think. P.S. Don't forget to cringe at the 1'20" mark when Donna sings "And the lies... can be cold as ice". And she really means it.